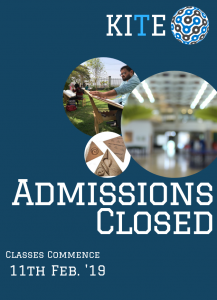 The Karachi Institute of Technology and Entrepreneurship (KITE) is a young, dynamic, degree granting institution of higher learning, located in Karachi. KITE’s mission is to craft and cultivate entrepreneurs and change agents using its unique interdisciplinary undergraduate programs, while also nurturing other requisite aspects of the entrepreneurial ecosystem in the city and the country. An ecosystem of interdisciplinary education, applied knowledge and entrepreneurship. To create a critical mass of well-rounded citizens with a “can-do” attitude who thrive in multidimensional local and global societies. 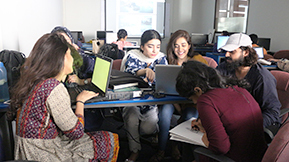 Karachi Institute of Technology and Entrepreneurship (KITE) is the Education Enrichment (EduEnrich) Foundation’s flagship initiative. EduEnrich is a not-for-profit run by a dedicated team of professionals passionate about creating innovative solutions for local problems. In today’s globalized world, technology and entrepreneurship are prerequisites to achieving economic success. KITE’s programs have been designed to ensure they are an integral part of the curriculum as well as the teaching methodology. Our cutting-edge programs and capable faculty members provide academic training together with practical knowledge to students. Our partnerships with industry leaders mean that our curriculum is in line with industry requirements — it evaluates and delivers what is required from a working professional. Most of our faculty members possess internationally-renowned credentials and have diverse work experience. Above all, our staff’s unwavering dedication towards students helps them achieve their dreams and position themselves as leaders in their respective fields. Our goal is to produce leaders who possess problem solving and critical thinking skills which are mandatory to compete in a competitive global marketplace as well necessary to develop relevant local solutions.